Mark Saunokonoko has made a series of podcasts on the subject of Madeleine McCann's disappearance. 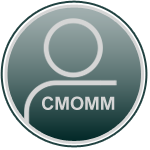 CMoMM has been used freely to heavily promote the podcasts, along with other social media outlets, so it can't be said that the forum is against Mark Saunokonoko in any way. 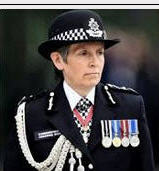 The content of the podcasts are open to scrutiny and constructive opinion and/or criticism, just the same as any other place that discusses the case of Madeleine McCann - for it is she who is at the centre of attention, or should be. This is not a market place to sell your wares, it's a dedicated investigative forum intent on pursuing the Complete Mystery of Madeleine McCann - as reflected in the title. If member don't like that, there are no shackles - you can move on any time you like. Please put things into perspective. For me the key to these podcasts is to listen to them as if you had never read the files and only read UK media reporting. latest podcast from Mark Saunokonoko out now. Thank heaven for Mark S, and, in fairness, Colin Sutton plays a blinder. Eat your heart out Netflix - this is how you do an informative unbiased programme!!!!! 100% agree Phoebe, another excellent unbiased report from Mark. For all the criticism Colin Sutton has had he adds real value to this particular podcast. Much as it must have taken Pulse a while to generate the propaganda for Netflix I'm convinced it's realease is timed to counteract these podcasts (which are top of the podcast charts in UK and Australia). What - investigative journalism ? (which are top of the podcast charts in UK and Australia). Ooooo .... 'Top Of The Pods'. No surprises there, they've been plugged enough across social media. 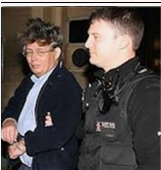 Trouble is with Colin Sutton, he vacillates to such an extent nobody knows what's true and what isn't. That aside, he's never been officially assigned to work on the case so he's opinion is of little value as regards a public information bulletin - he makes too many throw away comments for my liking. The very fact that he's always available for comment speaks volumes. ...Martin Smith's help with the BBC Crimewatch show...? A simple answer in approximate number of minutes would be helpful. What is most relevant about Mark Saunokonoko on Smithman is the amount of information he withheld. PeterMac is not sitting on studio sofas or appearing in documentaries or posing for photoshoots or giving media interviews. I was rather hoping my wording would allay such an anticipated response. Appears I was wrong. That aside, I'd rather not discuss a forum member behind their back. I wonder if anyone's tried to contact former DCI Andy Redwood to enrich their podcast/documentary content. Now that's something I would like to hear ! There is no relationship between Smith and Murat other than by sight as Smith stated and the police accept as fact. The description of the man seen by the Smiths is vastly different from the description of either Tannerman or Sagreman, - different hair colour, hair length, skin tone and clothing. 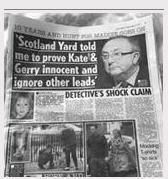 Martin Smith has entered into official evidence the fact his wife, Mary, also believes it was Gerry they saw that night. There is no evidence the Smiths ever cooperated with the McCanns, other than agreeing to draw up e-fits when asked. The Smiths have no editorial control over the BBC, nor Kate's book and what is presented there,just as in the same way, Dr. Amaral cannot control the way in which Netflix chose to present him or the way the press continually lies about him suing the McCanns. All the evidence points to the fact that the Smiths are not working for the McCanns. Pro McCann forces have never been able to produce a single interview or statement from Martin Smith showing that he has changed his view re. that sighting. One of the world's leading DNA scientists – whose lab helped identify victims of the 9/11 terror attack - has told Nine.com.au he believes he can answer a major forensic question that baffled investigators and could finally help solve what happened to missing girl Madeleine McCann, more than 11 years after she mysteriously vanished. Speaking in tomorrow's fifth episode of Maddie, an American DNA expert reveals potentially case-changing insights into the DNA samples that were taken from the McCann's holiday apartment and rental car in 2007. Those samples were later judged to be inconclusive. The chief scientist at a US-based, world renowned lab has reviewed the now out-dated testing methods used by the UK's Forensic Science Service (FSS) in 2007 to analyse the McCann samples. He has also examined a crucial final DNA report that was sent to the Portuguese police. Portuguese police sent DNA samples to the FSS for testing after two specialist sniffer dogs trained to detect the scent of death and human blood alerted in the McCann's holiday apartment and a rental car hired three weeks after Maddie vanished. The FSS analysed the samples but struggled to untangle and decipher the potentially explosive evidence. "If a lab can produce informative data, even if it is complex and mixed, but they can't interpret it then you can have tremendous injustice - of guilty people not being convicted, or innocent people staying in prison. What is needed is an objective and accurate interpretation that can scientifically resolve the DNA." The American DNA scientist will feature in Monday's episode five of Maddie, Nine.com.au's podcast investigation into Madeleine McCann's disappearance. Maddiequickly reached number one in the UK, Australia and New Zealand iTunes charts. 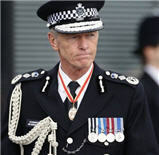 A significant deployment of British diplomats are sent to Praia da Luz inside of 24 hours of Madeleine's disappearance. A former homicide detective wonders why the arrival of so many diplomats was necessary, amid accusations of British interference in the Portuguese police investigation. Two highly regarded specialist dogs are brought to Portugal and make a number of alerts inside the McCann's holiday apartment, 5A, and a rental car they had hired weeks after Madeleine went missing. The McCanns are declared arguidos, and DNA samples are sent to the UK. If only they had sent the DNA evidence to an independent lab/country for analysis. And anyone who thinks the UK lab was free from "interference" knows next to nothing about the way these things are controlled. Hope PCR is mentioned. It's verified in the files and by its existence it means that samples should still exist, even if only digitally. The DNA - PODCAST #5 - One of the world's leading DNA scientists says he can now answer a critical forensic evidence question which baffled investigators in 2007. INCREDIBLE! DNA can be identified from original data files using modern technology! One of the only two labs that can do this have offered to test AT NO CHARGE!! OG have not yet responded! Thanks to Mark Saunokonoko for the huge effort and info! Has Mark contacted the PJ with his info? @Jill Havern wrote: Great podcast! Can't be sure but to think that the DNA evidence can now be identified at no charge and within two weeks...AMAZING! 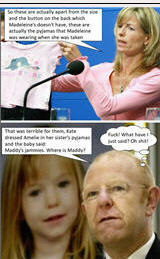 It's something EVERYONE wants, regardless of whether one believes the McCanns are complicit or not! I trusted Mark from the start, but I had no idea how much he is achieving. I've sent the info to Operation Grange by email. It makes you wonder what Grange are doing for their money - it's pretty shocking that they haven't returned Mark's phone call. @Jill Havern wrote: I've sent the info to Operation Grange by email. Thanks Jill, Im sure Natasha will be as pleased as we are with the new info! This is investigative journalism at its best! Another superb podcast by Mark Saunokonoko, it might even be groundbreaking. His approach to the case has been an example to others, stick with the files/things that can be proven, question them using logic, bring in the experts. It's now clear to me (and I suggested it previously) that the release of the Netflix documentaries was timed to bury these podcasts (it's no coincidence that the dogs & DNA got 'the treatment'). Well done Mark I look forward to the next episode. Another well balanced informative podcast by Mark Saunokonoko, why would the parents or investigators not want to take advantage of this incredible advance in DNA testing, FOC not. Who owns the DNA samples? @aquila wrote: Who owns the DNA samples? According to the podcast it's the digital records that are left (the samples, as we we'll know, we're destroyed by FSS). The digital records can be analysed statistically by computer to work out the probability of it being Maddie' s DNA, it doesn't matter if there's a mix of people it can separate them out (as my understanding). Mark wasn't able to get to the bottom of who is holding the digital records he was basically given the runaround.